If you are a small business owner, blogger, author or solopreneur I’m guessing you send out newsletters, e-zines or bulletins to your client’s, customers or community to make special offers, share content and keep them informed of what’s going on. I’m sure you’re also on the receiving end of lots of them too, some you possibly don’t remember ever signing up for. Of course we all want to build our lists and grow our followers but there are strict rules against marketing to people who haven’t agreed to be on your list, so how does it happen? I’m guessing there are some unscrupulous companies who buy and sell lists, and then there are other lists that you find yourself added to because you have bought something online and couldn’t get to the payment stage without registering your email address. I did a bit of a cull recently and unsubscribed from no less than 20 lists that I had never signed up for in the first place! What I didn’t do though is report any of the emails as ‘spam’. For new brand owners trying to establish themselves when their list is still small, this can be hugely detrimental because mailing list providers will suspect that you may not be legitimate, MailChimp for example came back at a client of mine effectively telling her off because 2 people had reported her emails as spam. If your list is small, 2 could be a high percentage! Ouch! I wrote back to him personally, apologised and wished him a happy Christmas, I genuinely have no idea how he got on my list if he had not signed up but it happens. I think he may have felt suitably embarrassed at taking a sledgehammer to crack a nut – I got a Merry Xmas back! So continue to put your efforts into building your lists – it’s the most important marketing tool you have, and support others by signing up to receive content from them if you want to be on their radar, but when you do feel overwhelmed at the assault on your inbox and decide to do a ‘cull’, just unsubscribe and don’t let it get reported as spam (unless of course it actually is!). I hope you will want to continue to receive my emails – but if not I will happily let you go – with love – please just unsubscribe rather than reporting me as a spammer – just don’t leave me this way!! A new survey on workplace attitudes reveals that many Britons are genuinely happy in the workplace – but there is still room for improvement. The Best You magazine’s Life Meaning Survey asked 2000 people in work across the ages, genders and regions about their experience at work. One question, ‘When it comes to your job/career right now, would you say that you love what you do?’…and it gave surprising answers. While a relatively small percentage (15.4%) gave an unequivocal ‘Yes’, a mass 47% (or 941 people) replied ‘Mostly’. Roughly a quarter responded, ‘Not really’ and 11% said not at all. The figures were fairly even across genders and ages, with a variation of only one per cent of women feeling more well-disposed to their jobs than their male counterparts, and people between 25-34 being around a percentage point happier than the other groups between 18 and 55+. Northern Ireland, topped the poll of job satisfaction with 18% giving a joyous ‘Yes’, closely followed by the South West (18%), London (18%) and Scotland (17%). At the other end of the spectrum, only 9% of respondents in Wales were willing to say they love their job. Asked what would add more happiness to the workplace, 52% said regular salary increases were the key to happiness, while just below came ‘Flexi-time for everyone’. Other high scorers were ‘offices with natural light’ and ‘more emphasis on work-life balance’. A common theme among those volunteering ideas on how to create more happiness was a change in management, with answers such as ‘a good boss’, ‘good leadership’, ‘less aggressive management’ and ‘bosses that aren’t bullies’ this was representative of many people’s experiences. Of the 38% dissatisfied with work, over a third were seeking opportunities in a different industry – but just under a third were taking no steps to change their situation, while 3% were seeking life coaching to help them make their choices. Interestingly, nearly 29% of women and 25% of men admitted to suffering from depression, with 10% more women than men seeking therapy, and five per cent more women consulting their GP. Men also failed to talk to family and friends on the matter, and a higher percentage chose to ‘do nothing’. More than 53% of 55+ have been redundant at least once, while only 13% of 18-24-year-olds have experienced redundancy. Employers could be failing to realise an opportunity to develop their staff. Across the ages, fewer than 20% of respondents receive personal development training from their employer, but are more likely to receive sick pay and a pension. Most age groups value the same things in the workplace such as flexi-time and sabbaticals, regular salary reviews, continuous professional development and social events. However in-work counselling and therapy was more valued by 18-24-year-olds (21%), while work-life balance was more important to the 45-55+ age group (58%). Job satisfaction was least felt by 25-34-year-olds (12%) and most felt by 45-54-year-olds (16%), although all ages described themselves as ‘mostly’ happy. Changing job or industry was most seen as a way to improve happiness by 18-34-year-olds (70%). Wanting to leave a legacy in the world was most wished for by 18-24-year-olds, while more than 51% of 55+ respondents thought they probably wouldn’t. Almost 83% of 55+ respondents believe in personal development, although this was consistently high across the age groups with 80% of 18-24-year-olds also working on their goals to be happy. Looking at the media usage of different age groups, 73% of 55+ respondents read personal development books, while 61% of 18-24-year-olds find inspiration online. Although similar across the age groups, 35-44-year-olds were most likely to have suffered from depression (30%), and of these 64% sought help from a GP or talked to family and friends (30%). In the East Midlands, 27% of people said neither they nor anyone they know are depressed. A whopping 87% of people surveyed in Scotland believe personal development is the way to work on their goals to be happy. 70% of South West respondents use books as a source of personal development, while 51% of those in the North West prefer blogs online. Most hopeful about leaving a legacy are respondents in the South West (20%) while the least hopeful are those in Northern Ireland (18%). Flexi-time is more important to women (55% of female respondents) than men (47% of male respondents). Almost equally across the sexes men and women enjoy their job. Women are more optimistic about leaving a life legacy (18% of female respondents) than men (14% of male respondents). Women who have suffered depression were more likely to have seen a therapist (40% of female respondents) or talked to family or friends (35%) than men (30% of male respondents, and 23% respectively). 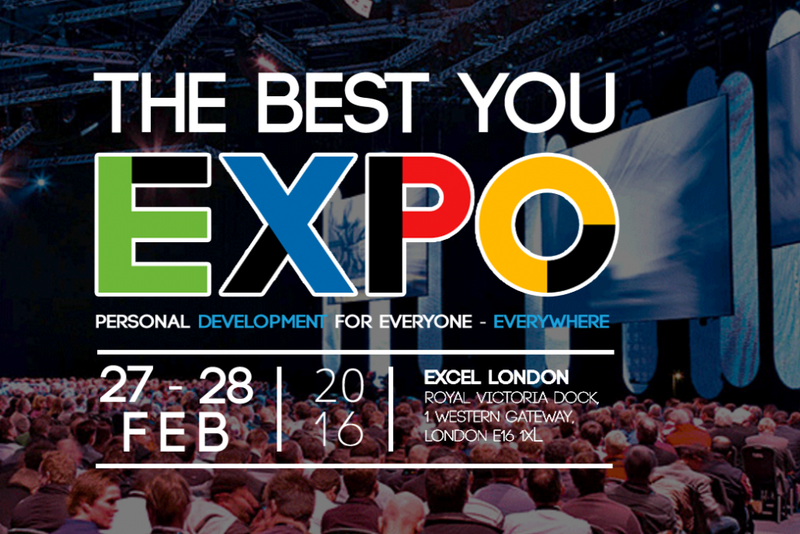 Janey Lee Grace speaks alongside Sir Clive Woodward, Jason Vale, Barbara De Angelis, Gill Fielding and Robert Holden appearing at ‘The Best You’ personal development Exhibition at ExCel London on 27 and 28 February 2016.
https://janeyleegrace.com/images/Back-To-Work-But-Are-We-Happy_3.jpg 768 1024 Janey Lee Grace https://www.janeyleegrace.com/images/small-banner.jpg Janey Lee Grace2016-01-07 13:51:322016-03-29 12:28:53Back To Work, But Are We Happy? Is your confidence holding you back from achieving what you want to in your business? Often we need some help with empowerment even if we know deep down that we’re capable it’s such a smoother path when we have others to support, nurture and empower us. Often it’s enough to be in a community of like-minded people to feel motivated with moving forward. There can be many influences in our life that don’t always want us to surge ahead. It can be really frustrating when you feel paralysed to move forwards in both your business and your personal life, when you know deep down that you have so many ideas and that you could carry them through… if only you had a bit more confidence. Self-belief can be the killer of many dreams! Change is always scary whether it’s moving to a new home, a new job, leaving a situation to be on your own or putting your creativity out into the world, it’s a risk and it needs a big leap of faith. Have you been close enough to take that leap and felt the discomfort? Have you felt it would be easier to stay exactly where you are? Oftentimes it helps to ‘fake it before we make it’ and to me this translates as your belief being more than half of the challenge. There is plenty of practical help available to us to learn about creating our niche, creating our website, marketing our business etc. These are all things we can learn and confidence and self- belief is part of the equation. Think about what’s really holding you back today? Is your inner critic a little guilty of keeping you stuck? Join Jo Wilson, Andy Coley and Janey Lee Grace for 2 days to improve your confidence and self- esteem & gain the level of assertiveness you need to put yourself first, get noticed or achieve the results you deserve in your career, business & personal life. https://janeyleegrace.com/images/Whats-holding-You-Back.jpg 768 1024 Janey Lee Grace https://www.janeyleegrace.com/images/small-banner.jpg Janey Lee Grace2016-01-04 10:00:422016-01-22 15:11:01What’s Holding You Back? It’s great to be doing a short run in panto. I almost said no till a wise friend said ‘do it’ – it’s like being a kid again, I am the Fairy Godmother in Cinderella making wishes come true! I wish you a magical holiday period and hope 2016 is the year where your wishes come true. Leaving yourself out of your dream is common too amongst heart centred business owners. One client who is a very successful expert in weight management said her dream was that the NHS recognised the link – fast forward to utopia for them (tricky to imagine I know) but assume the dream delivered and the NHS got it and offered NLP techniques to all – and she didn’t feature! She had left herself out of her dream and her brand! 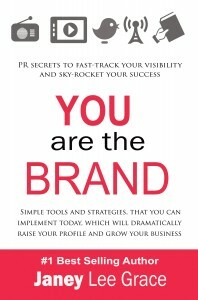 Own your own USP and your own unique brilliance and decide upon your one big dream for your business. Be very clear on all the details, base them in reality while still dreaming big (it probably won’t work to dream of being an Olympic swimmer if you don’t like getting your ears wet). You believe in magic don’t you? We can’t compete with Amazon BUT we can give you fabulous ADDED VALUE… So order from us and you will receive FREE Module 1 (previously on sale for £97) of Janey’s acclaimed PR and Media Skills Audio Masterclass. Includes a guided visualisation to get clarity on YOUR dream. Wow! Of course my answer is always the same, there may be many books on your topic but there’s only one YOU’ – That’s why it’s critical to really know your YOU-sp (USP) – what it is that makes you YOU-niquely different. Having said that I’m not immune either to the odd ‘wobble’ about my credentials. Recently I was thinking about planning an event around helping people with their public speaking skills, helping experts and entrepreneurs become the Go-To expert in their field and how to attract opportunities and maximise them. Just as I was about to start looking at venues I saw some advertising for an event not dissimilar to the one I was planning – except that this entrepreneur had hired a huge venue and seemed to be totally rocking and at the top of her game in that arena. What did I do? Panic! – I went through all those same concerns and fears, am I really good enough, could I ever fill out a big conference venue? I must admit I really did feel as though the wind had been taken out of my sails, it took a session with a great inspirational coach (we all need someone a few steps ahead of us) to make me realise that my experience and message is not the same as my ‘competitor’ and what I share with my audience is different and just as I remind my clients, I too have my own skills, talents and specific USP – for starters I’ve had twenty five years in the media and been on both sides of the microphone! So I calmed down and recognised that by simply comparing myself unfavourably to someone else who seemed to be ahead of me, I was procrastinating, holding myself back from just getting on with sharing my YOU-nique brilliance, I was allowing all the negative inner talk to take over. Sometimes of course it’s good to check out the competition, absolutely google around and see what others are doing in your field, it also doesn’t make much sense to host your event the same weekend as a competitor if the target audience may be similar, but don’t get obsessed by what others are doing, there will always be people ahead of us (thank goodness – they can pave the way and help us) and there will always be those coming up behind. And perhaps with our unique skills talents and clear definable ‘USP’ we can assist some of those newbies – the ones who are our ideal clients. That’s the key really, there’s only one YOU and you are the right person for the right ‘tribe’ or ‘community’. Other experts, brand owners and teachers will be the right person for another community. Ultimately it’s a big old ocean and there’s room for lots of ripples, so go ahead and make your waves! It’s scientifically proven that good posture helps with self-esteem, so regularly practice (and definitely before any kind of performance), stand with your feet about hip width apart, as if rooted into the ground, shoulders back, head up, look straight ahead, take a deep breath and say out loud ‘I am enough’ – Yes you really are! 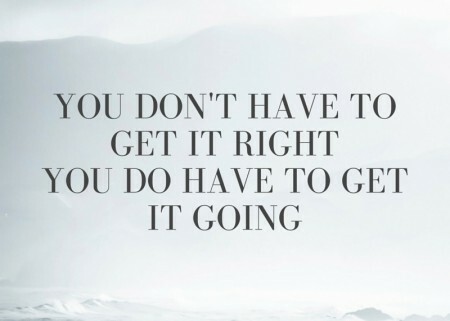 https://janeyleegrace.com/images/You-are-enough1.png 768 1024 Janey Lee Grace https://www.janeyleegrace.com/images/small-banner.jpg Janey Lee Grace2015-12-11 17:51:282015-12-11 17:51:28Am I Good Enough To Compete? Indulge in a whole-life rejuvenating experience hosted by Gwen Warren, Founder of Biting Fit Whole Life Detox Retreats and world-class, international coaches, authors and speakers including Janey Lee Grace, Alice Barnes, founder of ABC Image, Anna Clifford, founder of Barefoot Therapies, Karen Knowler, The Raw Food Coach and Elaine Hilides, International Speaker, Coach and Hypnotherapist. This holistic experience will offer you the attention and time you need in a relaxing, interactive and stunning environment where you can expect to make some long-lasting connections with like-minded people. Imagine a place where you can come and feel like YOU again. The real YOU. Imagine having the tools, inspiration and knowledge to turn your life and your SELF around for good. 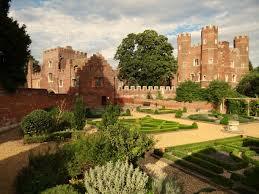 This is the first Retreat at Buckden Towers, they would love feedback and so are offering this Retreat with a one time only 45% discount. This will not be available again. 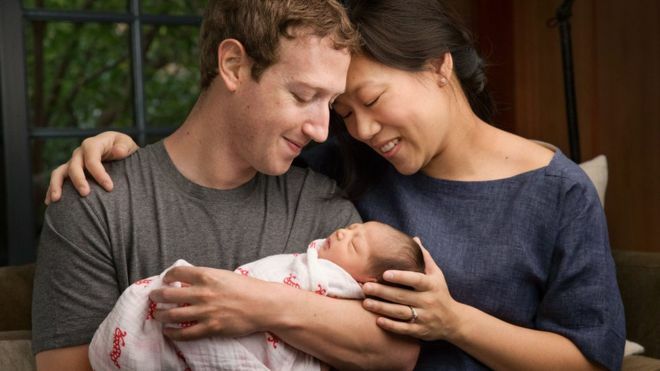 You will have seen the story across social media recently about Facebook founder Mark Zuckerberg and his wife Priscilla Chan who wrote an open letter to their new-born daughter saying they want her to ‘grow up in a world better than ours’. They have committed to giving away 99 per cent of their Facebook shares (that’s estimated at around 45 billion dollars right now) to charitable causes. They will still be exceedingly rich but there’s no doubt that their philanthropic statement brought them even more notoriety and their fair share of controversy too. ‘If I had only one dollar left I’d spend it on marketing’ is one of Bill Gates favourite sayings and he certainly got some column inches in the UK recently too (and probably got paid for his time!) about his financial giving. There was a heart-warming interview in the Daily Mail ‘You’ magazine – Meet the everyday billionaires, Judith Woods spoke to Bill and Melinda Gates and found a grounded lovely family with strong values. ‘Bill loves doing the washing up and I like to slip into my yoga pants and eat popcorn’: At home with the world’s richest couple’ was one of the boxed out headlines and of course the angle of the piece was not to promote themselves and their corporation (let’s face it their net worth is £53 billion – more than the wealth of some small countries!) however they were clearly willing to put themselves in the frame – to stand in the spotlight – in order to get even more awareness for the Bill and Melinda Gates Foundation which doesn’t fund its own projects but channels funds into existing organisations such as the World Health Organisation and Unicef. The couple have poured over 19 billion of their own money into it and the investor Warren Buffet has also donated billions. They are very ‘hands on’ though and shared their vision of large scale philanthropy with the interviewer. For me as the reader looking at this three page article with images of Bill and Melinda with their children and on a visit to one of their charitable projects in Haiti it made me totally warm to them, it gave me an insight into what makes them tick, and if it’s still important to Bill (and I’m guessing it will be!) he should pat himself on the back that he has reassured yet another customer that he (and his wife) are people that we can do business with – because we feel we can Like, Know and Trust them. Like me, you are probably not at the stage where you will be asked to appear in a three page spread about your life and work in a national Sunday supplement, you almost certainly won’t have a cool 45 billion dollars to donate to good causes, you may not yet be in a position to leave your day job in order to follow your passion but remember the saying…’You don’t have to get it right, you do have to get it going’ and if you are going to succeed in a heart centred business you must remember that people do business with those they like, know and trust. Be prepared to be visible within your business. Oh and according to Melinda you should be willing to take some risks, Warren Buffet gave them this advice when establishing the foundation… ’Don’t just go for the safe projects, take on the really tough problems’. If you have got an idea brewing that seems just too scary…ask yourself – should I feel the fear and do it anyway? If you have a book to write, a business to launch or grow, an idea to nurture, a programme to promote, take a risk and get it going. Be willing to put yourself in the spotlight and don’t forget to attract some attention….your marketing may cost a little more than a dollar but without todays social networking opportunities maybe not much more!